Whether you’re searching for a better way to savor the solitude of your backyard or a place where your family can gather in comfort, a brand-new deck will likely do the job. Decks can be crafted from numerous materials and with a variety of looks and features that cater to virtually any homeowner. If you’re seeking to construct a deck to complement your home in Northern New Jersey, choose New Jersey Siding & Windows. Considering upgrading your home with a new deck? Here are three reasons why it’s a great choice. Decks offer an excellent space for family gatherings. Whether you’re hosting a party or simply settling down for dinnertime, decks allow you to savor the fresh air without having to leave the comfort of your property. Decks enhance your home’s beauty. Thanks to the wide range of materials and finishes currently available on the market, it’s easy to craft a deck that catches the eye. New Jersey Siding & Windows has a variety of materials in stock – including PVC, composite and more – to help make it easy to craft a deck that meets your every need. 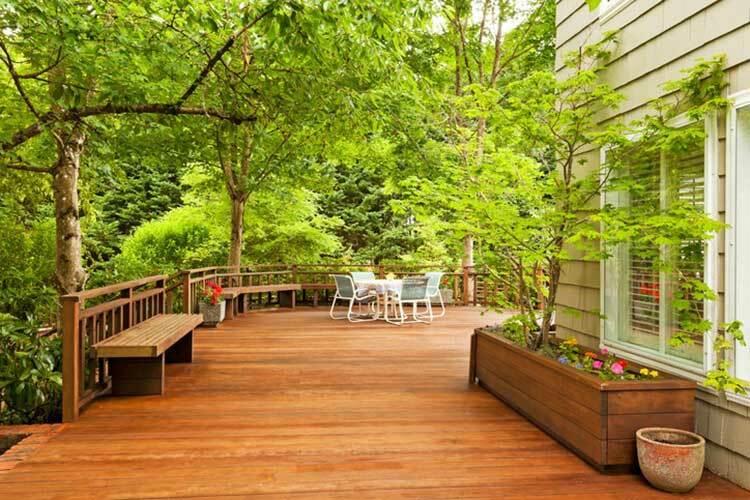 Decks can boost your property’s value without breaking the bank. Unlike full home additions, decks are relatively straightforward, which means they can easily be built at a reasonable price. And once your deck is constructed, it’ll provide an extra dimension to your home’s appeal that’s hard for any homebuyer to resist. If you’re seeking to bring your home improvement ideas to life, look no further than New Jersey Siding & Windows. We’ll work closely with you every step of the way to make certain the job is done right. Be sure to contact us to learn more or request your free estimate today.